It's possible that our current seemingly endless winter could be in part caused by a loss of Arctic sea ice. Record Arctic warming could be leading to a wavy jet stream that gets stuck in place, keeping a weather system in place longer, according to an article in Scientific American. Huttner: This is the toughest spring we've had since 1983, 30 years ago. It's not your imagination. It's been a rough one. Weber: Yesterday on the show we had Ian Bremmer of Eurasia group here. We talked about climate change and global warning. He analyzes political risk for countries as a consultant. 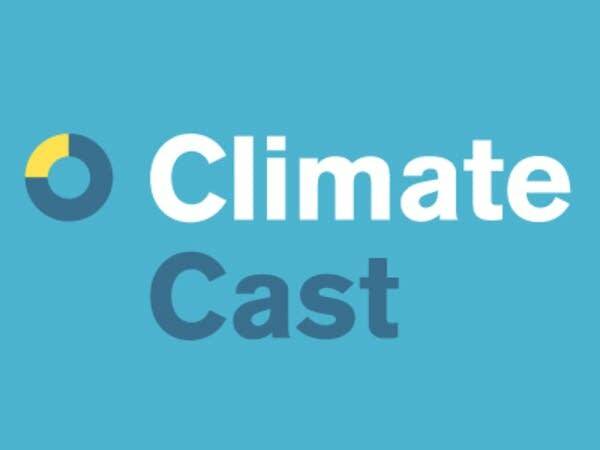 We had a caller asking Bremmer about the world addressing — or not addressing — climate change, noting that there is another climate change summit next month in Germany. Ian Bremmer (clip): I think we should stop doing global climate summits. I think continuing to have them allows us to believe that we're making progress when in reality we're not. So the first thing we have to do is recognize that climate change is occurring because we can't deal with it globally, we won't deal with it globally, and so we have to start planning for how we're going to help those to adapt to the processes that aren't of their own making, but that they'll be impacted by. Weber: He went on to say, stop these global summits and start doing stuff more locally, nation by nation or state by state. What do you think of that? Huttner: I'm inclined to agree with his assessment. Not from a defeatist standpoint that there's nothing we can do on a larger scale, I think there is, but governments are slow to react, as we know, to a lot of things. The reality is climate change is here, it's already occurring and there's already a certain amount of warming pre-loaded into the atmosphere. The greenhouse gases up there have a half-life of decades. We're continuing to put out more greenhouse gases every day, every year. So I'm inclined to agree with that political assessment even though we stay more focused on the science here. Weber: You're the people with the numbers and you give the politicians the data and the information and they're supposed to make the decision. I guess Ian's point is that they're not. It is this interesting dynamic that if you break it down into smaller pieces you'll always be able to have the argument that the reason we're having problems over here is because of something happening globally. It seems like a back and forth to be had. Huttner: It does. One of the things that we learned about CFCs (chlorofluorocarbons), for example, is that the things you do in your daily life matter. If you decide you want to make changes that will reduce your carbon footprint, do it. There are many ways to do it, there are lots of resources to find out how to do it. We don't advocate for that as much here from a news and a science standpoint but the information is out there and that's sometimes how a lot of good changes happen. Weber: You've been looking at information for this discussion about how global warming can actually be "global weirding." We're talking about this crazy, longer winter we're having. With all the Arctic ice that's melting and the warming that's happening, why do you have harsher winters sometimes? Huttner: It seems counter intuitive. With the spring of our discontent, or the eternal winter of 2013, there's growing evidence that there are links between our changing climate system and extreme weather. Some people call it "global weirding." I think that's a good term. In other words, we're not just warmer, but we're also seeing more extreme and persistent weather patterns. Here's this paper that came out in Scientific American, saying does our record loss of Arctic sea ice that we had last summer stacks the deck in favor of harsh winter weather in the United States and Europe. Here's the science behind it: We have less ice in the Arctic. That means a warmer Arctic Ocean and less of a temperature contrast between the Arctic and the equator. That means a weaker polar vortex, these jet streams that spin around the planet. They're driven by temperature contrast. If you reduce the contrast, you slow down the winds, and you're changing the weather system. That means deeper, more wavy jet streams and slower jet streams that become more persistent. We get these deeper, more persistent bouts of Arctic air, more cold, more snow and we get these stalled or blocked weather patterns. That's why we've seen this for the past several years. Months of drought, followed by months of snowy and cold weather. The weather patterns get stuck when you have a weaker polar vortex. Weber: When the jet stream does go up into the Arctic and bring down that air, it stalls in Minnesota. Huttner: It slows down. We call this "Arctic amplification" because these waves in the jet stream get bigger and they slow down. Our climate system changing like that increases the weather extremes because weather patterns get stuck. More drought if you get caught under one of the warmer, drier part of the jet streams, the ridges, as we call them. Weber: If you show the maps of what the Arctic ice looked like in 1980 compared to today, we've essentially lost the size of Europe in Arctic ice. Huttner: We've lost roughly half of the ice since 1980, more like 70 percent of the volume because the thickness has been reduced as well. From a weather forecaster standpoint, it's interesting because as we're changing the climate system, one of the things I'm asking is are we changing the way our computer weather forecast models work? The duration and intensity of these weather patterns seems to be more persistent and the basic assumptions that the models were based on decades ago may be changing in terms of the speed with which these waves move through the atmosphere. The forecast models keep wanting to push weather systems along. Great example this spring: we've had three or four times when the medium range models say we're going to warm up in ten days or two weeks, but then it gets pushed away as these weather patterns get stuck.